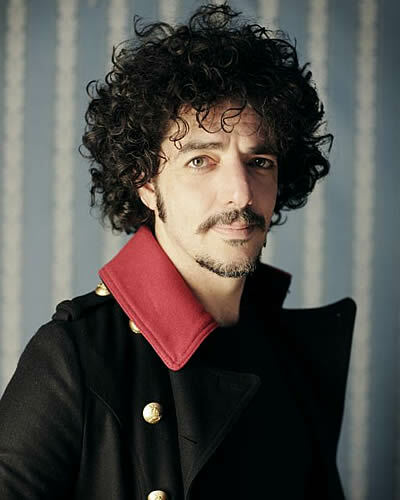 Max Gazzè is an Italian songwriter, bassist and interpreter at the top of the italian music scene for at least two decades. A very personal style and an amazing performer on stage, he sings in both Italian and French. He plays over 80 concerts per year and always creates a cozy feel-good-tone that warms up the room and the public alike. Max lived his childhood and adolescence in Brussels , where he attended an International school, and so he grew up having Italian, English and French as mother-tongues. His world was more European than Italian-oriented. He played in blues and jazz clubs, as well as in punk contests where he used to drag his bass guitar out as if it were a beloved pet. His background is multiethnic and his performances in the clubs around Grand Place were given together with musicians such as Miriam Makeba’s band and the like. Back in Rome he soon became a very well known artist signing with Virgin Records from his very first album. With Virgin he published 7 golden CDs. //ABOUT THE OPENING ACT// Gappa is an italian songwriter and psychiatrist. In 2008 he released his first album “Cervello in fuga” (brain drain), playing around Italy and Europe. In 2011 he released with Cristian Grassilli Psicantria, a book-CD with 13 songs about mental disorders. In 2012 he wrote the song Notti for the famous italian songwriter Francesco Guccini.